and whether they are right for you. foundation for a replacement tooth. perform procedures to improve it. Implants are not for everyone, however. decreases for patients with these conditions. Most patients will adjust to implants immediately. may be necessary to maintain gum health. on caring for your implants. 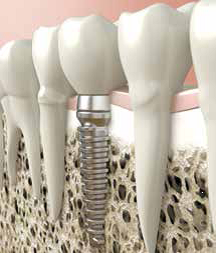 whether dental implants are right for you.